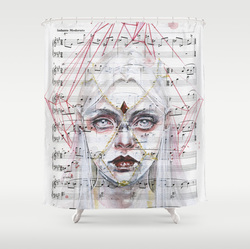 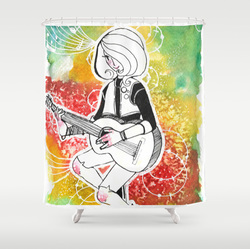 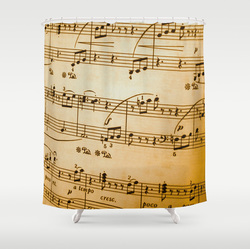 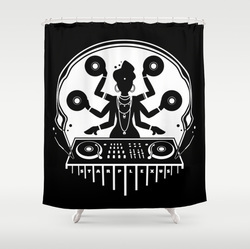 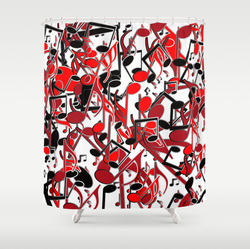 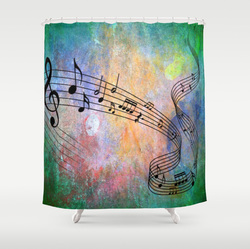 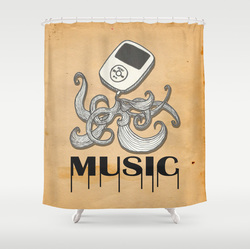 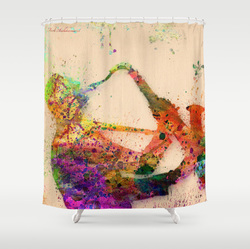 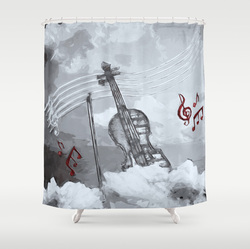 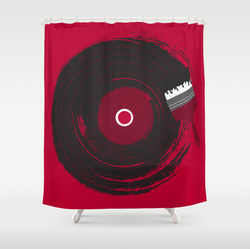 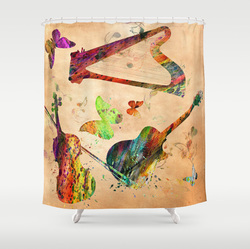 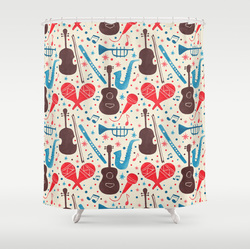 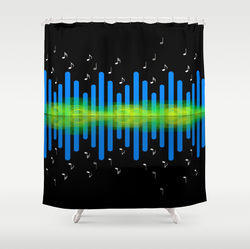 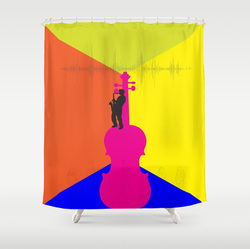 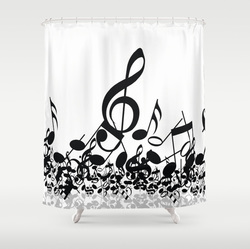 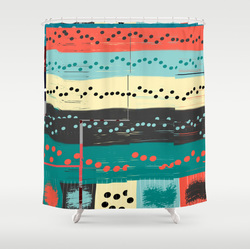 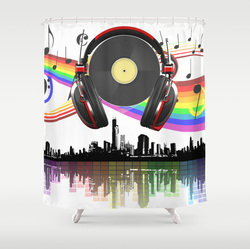 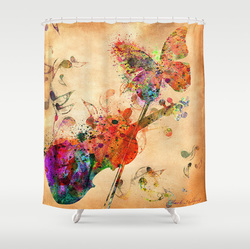 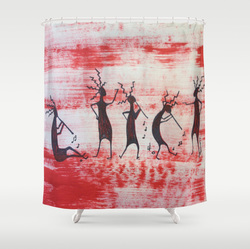 Bring a music theme into your bathroom with a shower curtain featuring a musical design from talented designers around the world. 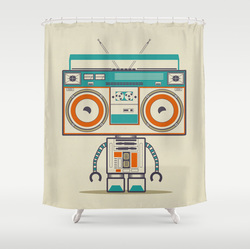 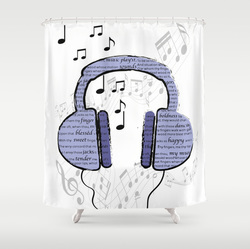 No longer will the only music be your singing in the shower! 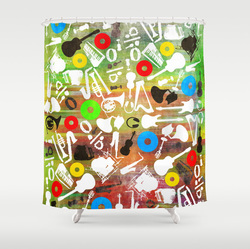 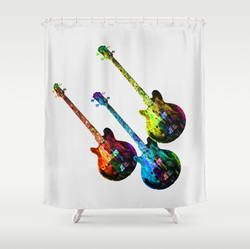 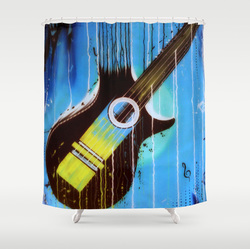 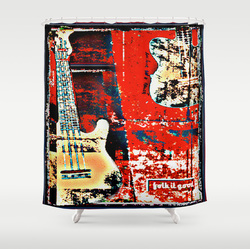 Music notes, guitars, rock and roll and musical instruments adorn these fun, colorful, eye-catching curtains for your shower bathroom. 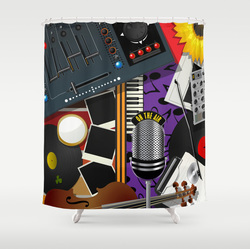 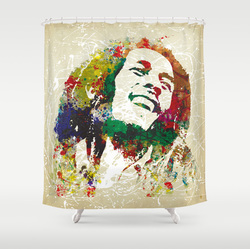 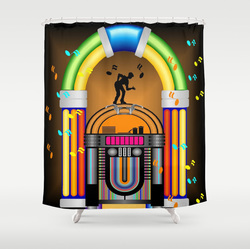 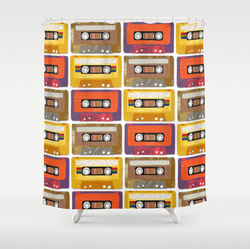 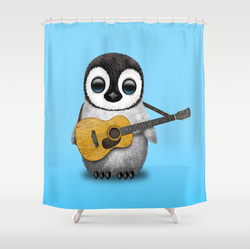 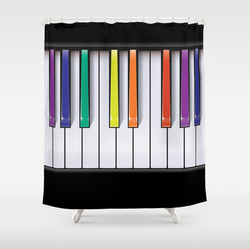 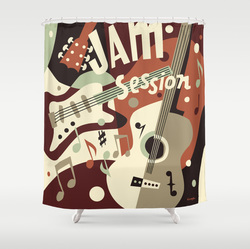 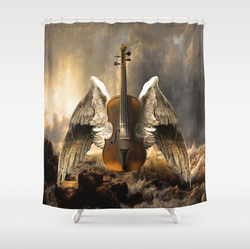 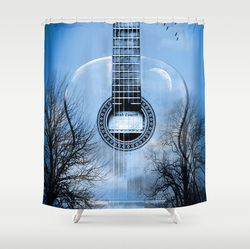 These musical shower curtains come in one size (71" x 74") and are made from durable 100% softened polyester with 12 button hole for simple hanging. 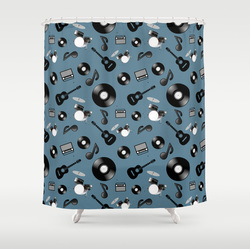 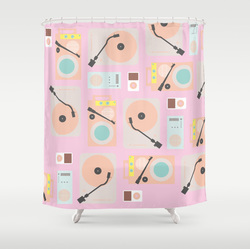 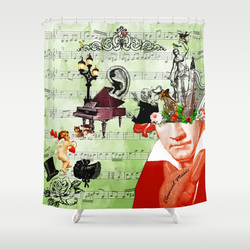 A retro styled music shower curtain with Edwardian riding a penny farthing made of a record and gramophone speaker. 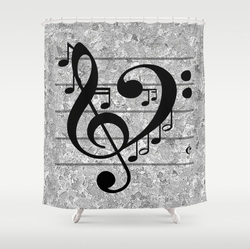 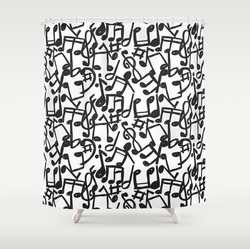 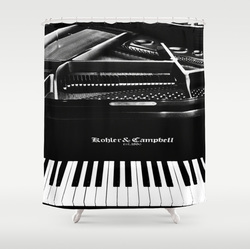 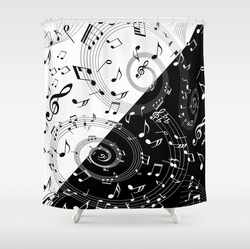 Perfect for any musician or music lover sketched musical notes in black on white shower curtain perfect to complement any decor.